I know I previously stated I would write no more political articles, but...I lied. Currently, with what is rapidly transpiring, for this nation and what I deem is its core values to be as a nation, is at least worthy in furtherance of my two cents worth. In good conscience, I cannot simply sit idly by while allowing all the disgrace blotting our nation go unnoticed. It needs some quashing. 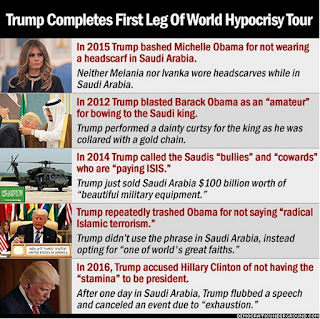 For all you Trumpeteers out there and in ‘Bubble Land’, particularly those that still spinelessly corroborate your blind opinions in favor of this president; shame on all of you. How callous can ya be? This is a classic partisanship that validates your party allegiance over country. From a most recent May 16, 2017 ‘Public Policy Polling’ (PPP), results show that, even after all this nonsense occurring from this presidency, 86% of Republicans still think Trump is doing a great job. 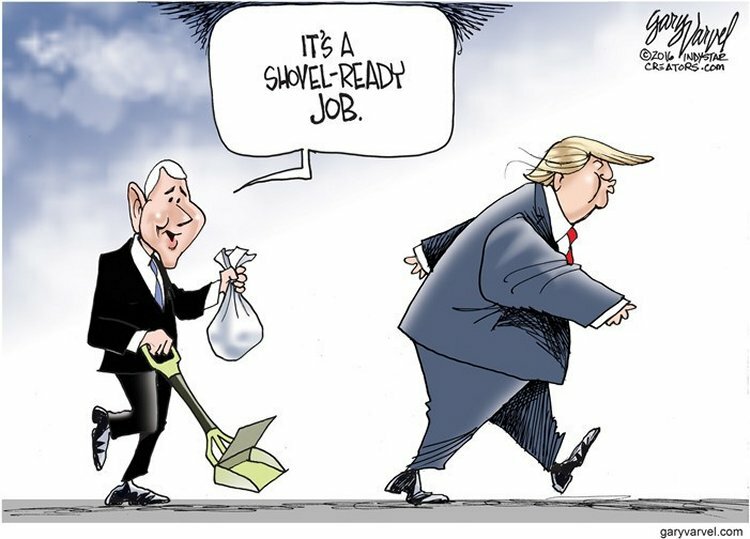 What job? 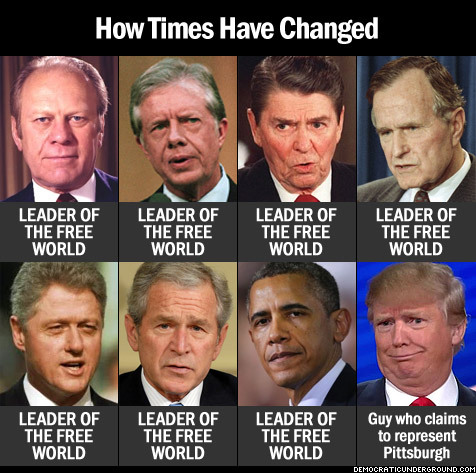 What has Trump done to better the country, or to give the average American some relief as he proclaimed he would do the very first day in office? Huh...what? He’s lied about creating jobs, such as ‘United Technologies’ Indiana ‘Carrier’ plant’s move to Mexico where he said he saved 1,100 jobs...when he did not. Carrier promptly sent 300 jobs to Mexico immediately after Trump’s proclamation and then another 300 jobs in its Indiana fan and coil plant. Additionally, in its Huntington, Indiana plant, ‘United Technologies’ are shipping an extra 700 jobs to Mexico. 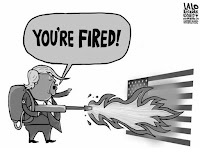 In total, that’s 1,300 American jobs gone through Trump’s deal and that’s after Pence had the Indiana tax payer give ‘United Technologies’ $16 million in incentives. Throughout all of this, only 800 jobs were to remain in Indiana, but now it’s being reported that by July, out of that 800, 338 more are being shipped to Mexico. This carrier deal was merely another of Trump’s scams. Prepare yourselves, for the next sentence is longwinded. I suppose, no matter any of the amount of lewdness, callousness, falsehoods, broken promises, almost daily scandal creations, continuous distraction, obstruction of justice and conflicts of interests running rampant throughout this administration, since the Trumpsters rooted for him, got him into office and blindly defend him, they will ignore all the imperviousness this administration is to truth and are tantamount as ever in willing to go down with Trump. Impeachment with majority Republicans holding all the executive, congressional and judicial branches of government will be a long and obstructive path to being fulfilled, but responsible Americans have got to push for it when the full evidence is there to do so. Americans who still hold dear the American constitution and values should make it loud and clear, political Trumpeteers will pay for their malfeasance in chipping away at the democracies this nation has always been the beacon for. However, this is dangerous ground we’re treading on here. The base of Trump support comes from angry white men, gun nuts, biker groups, white nationalists and the wholly uneducated. They will retaliate if Trump is impeached. Assuredly, with Trump’s egging on, these collective vengeful groups will take to the streets and do nasty things in only what they how to do. Why, because they are not for nation, no matter how many of them call themselves patriots. They are trumpets sounding off for Trump. He is their identity. Unfortunately for them though, Trump is only for Trump. Whenever I visit rightwing blog sites, they always have innumerable members using the handle ‘Patriot’ this or that. When these so called ‘patriots’ incessantly still defend Trump over all this scandalous Trump/Russian misdoings, it assuredly is not making America great again. No, you can throw that slogan out with the trash ya brought into the White House, for it’s more like stimulating Putin and his Russian cohorts’ ejaculating gaffing laughter over their vodka cocktails when discussing the cracks now being forged into American democracy. 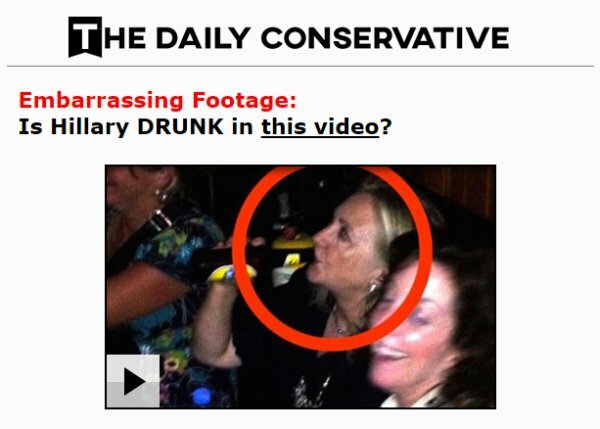 To divert attention away from Trump current woes in Russia, the budget proposal and healthcare, rightwing blog sites are trying to spread if Hillary Clinton is drunk in a video. First, so what, but mostly, what does that have to do with our current government. 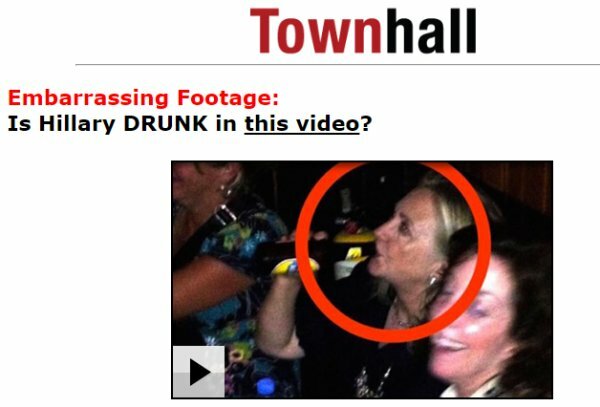 Remember, Hillary lost; attention is now on Trump, so concentrate. 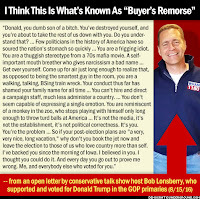 And for all you Trumpeteer Christians out there...shame, shame, shame on you for the opprobrium in choosing Trump the contemptable over Christ your savior. This past summer at the Iowa Family Leadership Summit, Trump was asked whether he had ever asked God for forgiveness. Trump replied, “I am not sure I have. I just go on and try to do a better job from there. I don’t think so. I think if I do something wrong, I think, I just try and make it right. I don’t bring God into that picture. I don’t.” Of course not, for in his eyes he is the deified perfection. 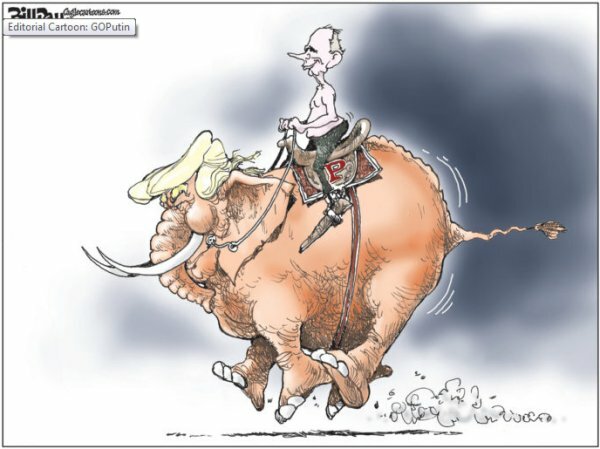 With the drip, drip quickly pooling and beginning to flow, it is remarkable how once Republicans were so anti-Russian that now they back Russia merely because Trump does. As far as the Trump/Russian collusion goes we’ll follow a guideline of sorts in chronological form. Among much research, a bulk of these excerpts was pulled from Bill Moyers and ‘Mother Jones’, Hannah Levintova. The collusion of, Paul Manafort, Roger Stone, Donald Trump and Russia goes all the way back into the 1980s with Manafort and Stone’s lobbying practice where Trump hires Manafort to help him in attempts to develop Russian business in 1987. By 1988, Stone becomes Trump’s closest adviser concerning Russia and business dealings. From then on, these three are linked to Russian activities from real estate in the U.S. and Russia to Manafort advising Russian oligarchs and pro-Russian friendly Ukranian politicians. Trump also announced that the 2013 Miss Universe beauty pageant, which he owned, would be held in Moscow as his choice for the location. 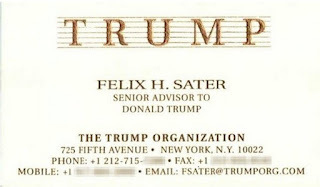 On September 19, 2007, Felix Sater and the former Soviet official, Tevfik Arif, who founded ‘Bayrock’, stand next to Trump at the launch party for Trump SoHo, a hotel-condominium project co-financed by ‘Bayrock’. In the same year, on November 22, ‘Trump Vodka’ debuts in Russia, at the Moscow Millionaire’s Fair. On February 22, public uprisings heed the Ukrainian parliament to oust the unpopular and pro-Russian, President Viktor Yanukovych for gross violations of human rights. Yanukovych flees to Russia, but leaves behind the so-called ‘Black Ledger’ revealing twenty-two entries showing that $12.7 million was paid to Manafort and his firm, ‘Viktor Yanukovych’s Party of Regions’ in undisclosed cash payments. 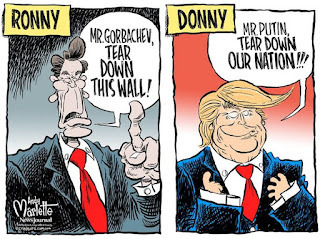 At the March 2014 ‘Conservative Political Action Conference’ (CPAC), Trump proclaims, “You know, I was in Moscow a couple of months ago. I own the Miss Universe Pageant and they treated me so great. Putin even sent me a present, a beautiful present.” This was the same day the Obama administration slaps sanctions onto Russia for its unlawful annexation of the Crimean Peninsula from Ukraine sovereign territory. 2015: On June 6th after gliding down an escalator among a group of paid actors acting as supporters, Trump declares he’s running for the presidency. On August 06: Trump fires Roger Stone, but Stone claims he’d quit. Either way, it doesn’t really matter, for Stone remains a prominent adviser and spokesman for the rest of the campaign. 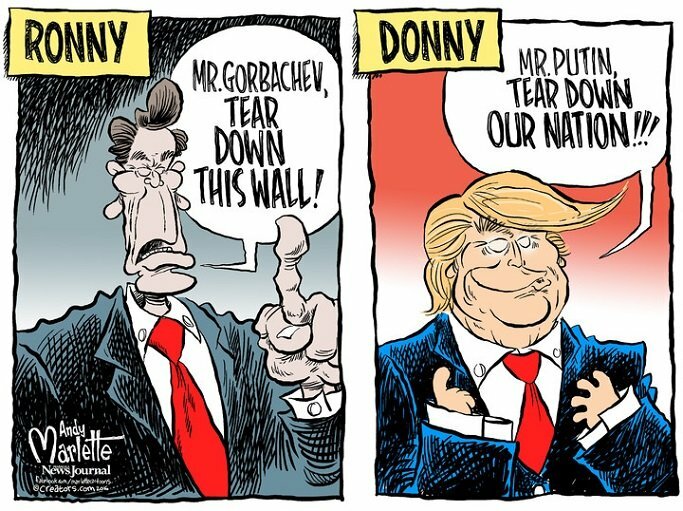 On September 29, Trump states on the ‘Bill O’Reilly Show’, “I will tell you in terms of leadership he [Putin] is getting an ‘A,’ and our president is not doing so well.” During the November 10 showing of the David Letterman late night showing, Trump tells Letterman, “I got to know [Putin] very well because we were both on 60 Minutes. We were stablemates, and we did very well that night. On December 10, after arriving in Moscow, Michael Flynn sits at Putin’s table for the 10th anniversary gala of Russia’s state-owned television propaganda network, ‘RT’. Flynn was paid $45,000.00 for the attendance adding to the total of more than $65,000.00 in 2015 linked to Russian affiliates. At the end of 2015, Britain’s spy agency, GCHQ, through double agents became aware of interactions between members of Trump’s campaign and Russian intelligence operatives. Over the next six months, a number of western agencies from Germany, Estonia and Poland share more information on contacts between Trump’s inner circle and Russians. 2016: With Russian reports abounding and beginning to make news, Trump begins a campaign of denying any association with Russia. 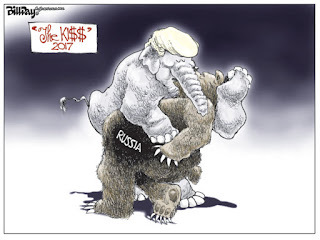 In a March 21 ‘Washington Post’ interview, after a recommendation from Iowan Tea Party activist, Sam Clovis, Trump hires Russian financially connected, Carter Page as a foreign policy adviser. March 29, on Stone’s advice, Trump hires Manafort as convention manager. In late April, the DNCs IT department notices unknown suspicious computer activity on the organization’s units. The DNC contacts the FBI and hires the electronic security firm, ‘CrowdStrike’ to investigate. By May 26, ‘CrowdStrike’ has determined that the Russian affiliates, ‘Cozy Bear’ and ‘Fancy Bear’ were at the heart of the sophisticated hacking. Both ‘Bear’ groups had close ties to Russia’s main intelligence known as ‘GRU’. In May, Trump becomes the presumptive GOP winner and in June gains enough delegates to become the GOP presidential candidate. On May 19, Manafort becomes Trump’s campaign manager after the firing of, Corey Lewandowski, who goes on to be a spokesman for the Trump campaign at CNN. In an early June secret meeting of high powered foreign policy experts, Page garners praise and admiration of Putin stressing that he is more reliable and stronger than Obama while attempting to convince the attendees that a Trump presidency would have a positive effect in U.S./Russian relations. Page would later on July 07, give a lecture at the ‘New Economic School’ in Moscow criticizing American foreign policy stressing that the soured relations between the U.S. and Russia “originated in my own country.” Again in December, Page visits the ‘New Economic School’ stating that all the Russian reporting in the U.S. was ‘fake news’ and would hurt U.S. relations. 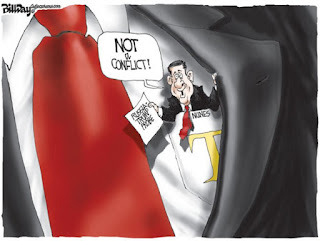 But when the ‘Washington Post’ reporter further revealed that he had an audio of the conversation, Ryan’s spokesperson, backtracked the original lie in no longer denying it, but instead came out in calling it all a joke in insinuating, “It was a failed attempt at humor.” This is a jerk and smirk episode in revealing the GOP’s callous nature over the importance of the threat to America’s democracy. On July 06th and 14th, more hacked DNC e-mails appear on the Kremlin-backed Guccifer 2.0 website as was done on June 15. July 18 is when the Trump administration talks the ‘Republican National Committee’ (RNC) into dumping the longstanding GOP commitment to the Ukraine and the Ukrainian people’s popular resistance to Russia’s incursion and encroachment into the Ukraine. Trump’s national security policy adviser, J.D. Gordon heads the operation just prior to the GOP convention and succeeds as Republican officials drop the Ukrainian platform. July 20, ‘New Yorker’ reporter, Ryan Lizza asks Sam Clovis, then Trump’s top policy adviser, about allegations that the Trump team worked with the Republican party to soften the party platform’s position on Russia in advance of the RNC. Clovis responds with “I can't talk about” and walks away. On July 22, obtained from Russia, ‘WikiLeaks’ releases the stolen DNC e-mails on the eve of the opening of the Democrat convention. On July 31, Trump’s Russian born adviser, Boris Epshteyn implies, “Russia did not seize Crimea. We can talk about the conflict that happened between Ukraine and the Crimea… But there was no seizure by Russia. That’s an incorrect statement, characterization, of what happened.” Just a few hours later, Trump lies on ‘ABC News’ that he was not involved in the GOPs platform change of heart in dropping the Russian intervention into the Ukraine. Towards the end of July, Page and Gordon meet with Russia’s ambassador to the U.S., Sergey Kislyak stressing Trump’s desire to continue good relations with Russia. This occurs around the same time the FBI officially opens its investigation due to mounting evidence of Trump/Russian collusion. On August 06, it is confirmed by Texas longtime GOP activist, Diana Denman and Rachel Hoff, a GOP delegate on the platform committee that Trump’s campaign had encouraged the RNC to soften its program on Russia’s intrusion into Ukraine. August 15, Guccifer 2.0 leaks hacked DCCC documents on Florida primaries. Along with releasing hacked DNC memos and Clinton-aide e-mails, after a GOP political consultant wrote into the e-cloud to Guccifer 2.0, saying, “Feel free to send any Florida-based information,” ten days later the Republican received 2.5 gigabytes of DCCC documents on August 25. We have just now learned this (05/26/17) because that Republican is, Aaron Nevins. Nevins has just confessed to the transaction. When the opposing team has your game plan, you are already behind the eight-ball before the game even begins. It was August 17, when Trump has his first classified intelligence meeting where Russian interference into the U.S. elections was discussed. Trump brought Flynn with him into the meeting. Guccifer 2.0 on August 21, posts hacked DCCC documents on Pennsylvania’s congressional primaries, while on August 31, Guccifer 2.0 posts hacked material from House Minority Leader, Nancy Pelosi’s personal computer. In September, FBI Director James Comey admits nearly half of the states’ voter registration databases have been exposed to intrusions by foreign hackers and that a FBI bulletin was issued to state governments warning that hackers had infiltrated the Illinois State Board of Elections and tried to breach election systems in Arizona. Russian backed hackers are suspected. On September 05, at the China held G-20 summit, Obama and Putin have a tense meeting with an argumentative discussion concerning the Russian meddling into the U.S. elections. Attendants expressed that Obama was terse with Putin. September 08 is the date Jeff Sessions meets with Russian ambassador, Sergey Kislyak in his senate office. Sessions is the only one from the senate armed services committee’s twenty-six members to meet with the ambassador in 2016. On September 23, Michael Isikoff of Yahoo News reports US intelligence officials are tracking Carter Page suspicious from first hand accounts that he had opened up private communications with senior Russian officials, including talks about the possibility of lifting economic sanctions if Trump became president. September 25, Page in writing tells Comey he has not met with any sanctioned Russian official, then takes leave of absence from Trump’s campaign the next day. October primarily shows Stone knew in advance what hacked leaks from WikiLeaks and Guccifer 2.0 were going to occur concerning Hillary Clinton and John Podesta e-mails. Also, in mid-October, the FISA court found sufficient evidence for the ‘Department of Justice’ to investigate two banks suspected of participating in Russia’s undercover influence operation related to U.S. elections. Also in October, according to Reuters, Russian government think tank ‘RISS’ drafts and circulates a document among top Russian officials warning that Hillary Clinton is likely to win the US presidential election. The memo advises the Kremlin to revise its strategy for influencing the election. Instead of focusing on pro-Trump propaganda, it should instead seek to undermine Clinton’s reputation and the legitimacy of the US electoral system by stoking fears about voter fraud. On October 01, Stone tweets, “Wednesday Hillary Clinton is done.” Six days later, acquired from Russian hackers, ‘WikiLeaks’ releases Clinton’s campaign manager, John Podesta’s entire e-mail account. On October 04 Trump tweets, “CLINTON’S CLOSE TIES TO PUTIN DESERVE SCRUTINY.” Later on the same day, Guccifer 2.0 post documents hacked from the ‘Clinton Foundation’. According to reports from Trump’s October 31 Las Vegas rally, the $100 million plane belonging to the Russian oligarch, Dmitri Rybolovlev, who had bought a Florida residence from Trump for $95 million in 2008, was in Las Vegas on the same day. Also on Halloween day, a veteran of a Western intelligence service gave the FBI memos specifying Russia had mounted a yearlong operation to cultivate Trump. In addition, the Kremlin had gathered compromising information on Trump during his visits to Moscow that could be used for blackmail. The story notes that the FBI requested more information from this source. November 03, again, Dmitri Rybolovlev’s plane lands in Charlotte, North Carolina, about 90 minutes before Trump’s plane lands at the same airport in advance of a Trump rally to be held that day in nearby Concord. After the election results, on November 09, Putin announces to the Russian parliament that Trump had won. The Russian officials immediately break out into cheers and applause. November 10, at a meeting in the White House, Obama warns Trump not to hire Michael Flynn. November 14, reporters ask Mike Flynn’s business associate, Robert Kelley if Turkish interests had retained their consulting firm from August through Election Day because of Flynn’s close relationship with Trump. Kelley’s reply, “I hope so.” But he didn’t have to hope, for it was so. In late November, Flynn as national security adviser designate, forms a meeting with the Russian ambassador, Kislyak, which includes former W. Bush senior Pentagon official, Marshall Billingslea. Billingslea becomes worried that the meeting could be monitored by U.S. Intelligence, so after the meeting, asked Obama White House security officials for all Kislyak transcripts that are on file. In December, while Moscow arrested a Russian computer security expert and two high-level intelligence officers who worked on cyber operations, they charge them with treason for providing information to the U.S. The arrests amount to a purge of the cyber wing of the FSB, formally the KGB and the main Russian intelligence agency. No reason was obtained for the arrests. Also in early December, the Obama administration was concerned about the incoming administration might cover up or even destroy previously gathered intelligence relating to Russia’s interference with the election. To preserve the intelligence, they spread it across the government for the benefit of future investigations. As well in December with unknown dates, Michael Flynn and Jared Kushner meet with, Russian Ambassador Sergey Kislyak at New York’s Trump Tower. Kislyak was not caught on tape entering the building, suggesting that he may have been brought in through a back entrance. Regardless, evidence verifies Kislyak was in attendance. Again in December, Kislyak requests another meeting with Kushner. Kushner sends his deputy, Avrahm Berkowitz to meet with the Russian ambassador in his place. At that meeting, Kislyak requests that Kushner meet with Sergey N. Gorkov, the chief of Vnesheconombank (VEB), Russia’s state-owned development bank. Kushner, later in the month meets with Gorkov, who also doubles as a Russian spy. The question remains why Kushner would meet with the Russians when it was already being confirmed Russia was behind the meddling in influencing the U.S. democratic election. He picked the wrong atmosphere to attempt in going around and sidestepping U.S. intelligence agencies. Another December meeting is held with Kushner, who was accompanied by Flynn and Steve Bannon. They met with the crown prince of Abu Dhabi, Sheikh Mohamed bin Zayed al-Nahyan, who makes an undisclosed visit to New York later in December. On December 13, Trump picks CEO Exxon/Mobil, Rex Tillerson for his cabinet as secretary of state. Tillerson has long standing political and business ties with Russia and Putin. Tillerson was the main head in striking oil drilling deals with ‘Rosneft’, a Russian state owned oil company that Putin has large investments in. For this, Russia rewarded Tillerson their 2013 Russia Order of Friendship. December 29, Obama publicly announces more sanctions against Russia for interfering in the U.S. elections. Along with the sanctions, Obama also ejects 35 Russian officials from the U.S. After the sanctions announcement, Flynn has no less than five phone conversations with Kislyak. The sanctions were discussed. Normally when Russian diplomats are kicked out of the U.S., Russia usually follows suit kicking American officials out of Russia. Strangely, this time, it did not occur. Speculating here, but perhaps it was because Flynn relayed that if they didn’t, when Trump became president he would annul the Obama led sanctions. 2017: In early January, concerned that classified material relating to Russia’s meddling in the 2016 election might disappear once the Trump administration took office, Obama administration officials create a list containing the serial numbers of key documents. An Obama administration official hand delivers this list to senior members of the Senate intelligence committee. Sometime towards the middle of January, Erik Prince, owner of Blackwater (the ill-famed private security firm during the Iraqi occupation), a half million dollar Trump donor and brother of Betsy DeVoss, secretively meets with a Russian operative with close ties to Putin in the Seychelles. The goal was to produce a back channel of communications between Trump and Putin, where U.S. intelligence would not be able to intercept. The meeting had been arranged and orchestrated by the United Emirates soon after that December meeting with Kushner, Flynn, Bannon and the crown prince of Abu Dhabi. This information was provided by two U.S. intelligence officials, but they would not leak the Russian official’s name. On January 04, Flynn tells Don McGahn II (at the time Trump’s top leader on the transition team) that he’s under investigation for failing to disclose his work as a Turkish lobbyist during the campaign. On January 10, during Jeff Sessions’ confirmation hearings, he was asked by, Senator Al Franken (D-MN), “If there is any evidence that anyone affiliated with the Trump campaign communicated with the Russian government in the course of this campaign, what will you do?” Sessions doesn’t directly answer the question, but instead states, “I’m not aware of any of those activities. 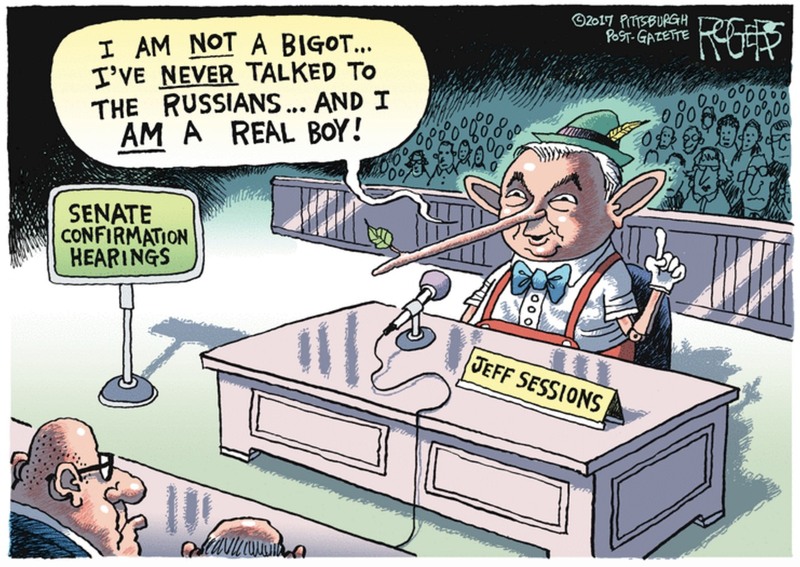 I have been called a surrogate at a time or two in that campaign and I did not have communications with the Russians, and I’m unable to comment on it.” In the process, Sessions had just perjured himself under oath, for he just lied; he had indeed met and been in conversations with Russian officials. 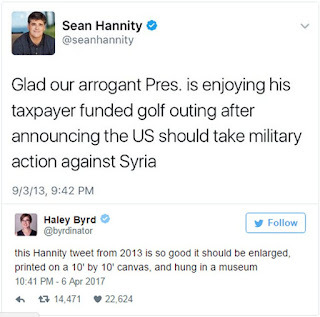 Also on this same day, due to executing the plan wouldn’t take place until after Trump’s inauguration, led by, Susan Rice, the Obama administration informs Trump of the military plan to retake the ISIS stronghold of Raqqa with the help of Syrian Kurdish forces. Turkey has long opposed US forces partnering with Kurdish forces in the region. Trump national security adviser-designate Flynn tells Rice to hold off on approving the mission in that the Trump administration would deal with it. 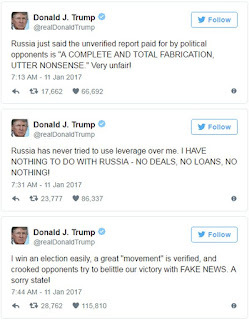 Trump contradicts himself on January 11 when he sends out a slew of morning tweets denying Russia’s interference, then later goes to his first news conference and states, “As far as hacking, I think it was Russia. But I think we also get hacked by other countries and other people.” Trump’s final question is directed by ABCs, Ann Compton, who inquires, “Mr. 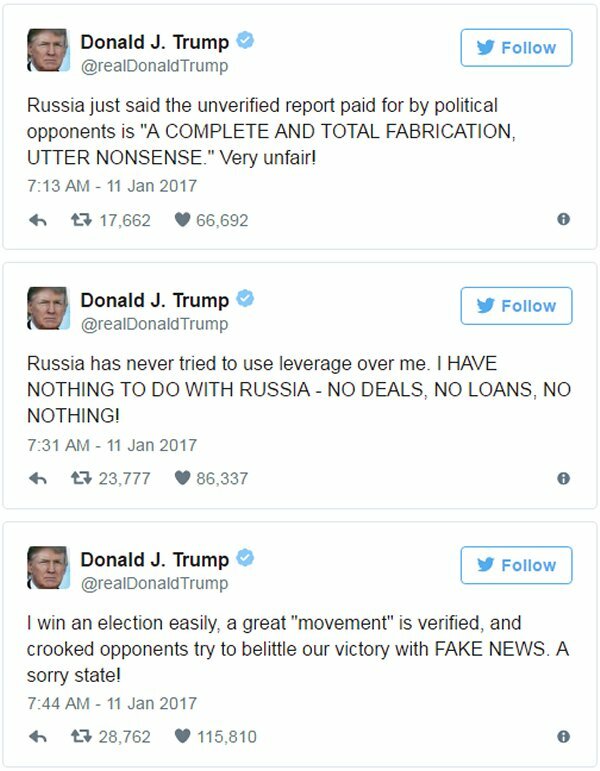 President-elect, can you stand here today, once and for all, and say that no one connected to you or your campaign had any contact with Russia leading up to or during the presidential campaign?” Trump doesn’t answer. Instead, he walks away and as he’s off camera and about to enter the elevators, he reportedly says, “No,” then exits the building. January 15, Trump tells the ‘Times of London’ in an interview, “We should trust Putin,” then proceeds to lambaste, German Chancellor Angela Merkel. On the January 15 episode of ‘Face the Nation’, Vice President-elect Mike Pence tells, John Dickerson that Mike Flynn did not discuss the Obama sanctions with Russia’s ambassador, Keslyak. January 19, through intercepted communications and financial transactions, the FBI, the NSA, the CIA, and the Treasury Department’s financial crimes unit are investigating, Manafort, Page, and Stone for their possible contacts with Russia during the campaign. January 20, Trump is sworn in as the 45th president. January 22, Trump picks Flynn as his national security adviser. January 23, Sean Spicer, in the presidency’s first press briefing that was a tad defiant in the inaugural crowd size, insists Flynn never discussed the Dec. 29 sanctions with Kislyak. Spicer’s sanction proclamation got the attention of, FBI Director James Comey. 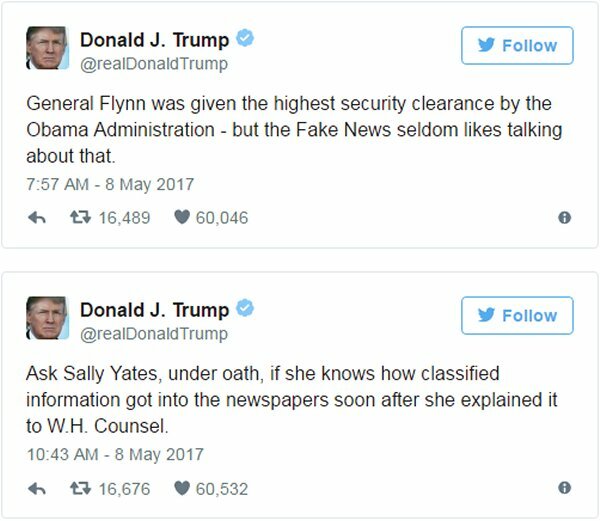 According to ‘The Wall Street Journal’, Comey spoke with acting attorney general, Sally Yates to immediately delay informing the White House about the discrepancy between Spicer’s characterization of Flynn’s calls and US intelligence intercepts showing that the two had, in fact, discussed sanctions. Comey reportedly asked Yates to wait a bit longer so that the FBI could develop more information and speak with Flynn himself. She concurs. The FBI interviews Flynn on the 24th where Flynn denies sanction discussions. On January 26, after the FBI Flynn interview, Yates told White House council, Don McGahn that Flynn had misled in false statements to the FBI concerning his Russian conversations. Yates also told McGahn that if Pence was truly out of the loop, according to Pence’s ‘Face the Nation’ public statement, then Flynn also lied to Pence. Spicer claims that McGahn immediately informed other White House officials. January 27, McGahn asks Yates to return to the White House, she does where he asks her, “Why does it matter to the Department of Justice if one White House official lies to another?” She educates him by explaining that Flynn’s lies make him vulnerable to Russian blackmail, for they knew he lied and with proof could leak it to the public. Also on January 27, in a one-on-one White House dinner specifically requested by Trump, he asks Comey for his complete loyalty. This is when Comey says, “I can’t do that, but I can pledge honesty.” Comey relayed this information to a circle of close friends and made them promise not to leak it as long as he remains the FBI director. They hold to the promise, but when Trump fires Comey, they publicly expose the dinner meeting. On January 30th, Trump fires acting, Attorney General Sally Yates for supposedly not going along with his unlawful Muslim travel ban. Throughout February, Trump, through his tweets, attacks the media. NBCs Chuck Todd notes the pattern of Trump attacking the media after any new press comes out reporting the Trump/Russian contacts. In a February 08 ‘Washington Post’ interview, Flynn denies speaking to the Russians about sanctions. 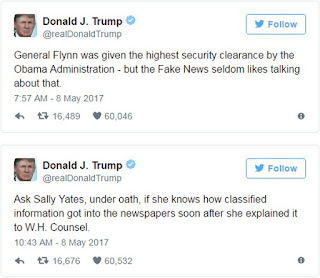 February 10, aboard ‘Air Force One’, Trump says to reporters he is not aware of Flynn having discussed sanctions with Kislyak, but indeed he has been aware of Flynn’s contacts with Kislyak since mid-late January as he was briefed on them, much less, most likely told about them by Flynn himself. Also on February 10, but again, Dmitri Rybolovlev’s plane lands in Miami, the day before Trump is set to arrive at Mar-a-Lago for the weekend. His activities were then unknown and his current whereabouts are now unknown. February 13, Flynn, depending on which story one wants to believe, is either fired or resigns. February 14, U.S. intelligence agencies and law enforcement officials report to the ‘New York Times’ they have intercepted repeated communications between Trump associates and senior government and intelligence Russian officials. Spicer, in a press briefing denies this insisting no Trump administrator or campaign official had any contacts with Russia. During a February 15 joint press conference with, Israeli Prime Minister Benjamin Netanyahu, Trump is asked a question about potential connections between his campaign and Russia during the election, but does not answer. Instead, he blames Flynn's ouster on leaks. This shows a big contrast taken by the White House previously: that Flynn was asked to resign because he misled Pence about his communication with the Russian ambassador. Also on the 15th, Trump’s chief of staff, Reince Priebus asks the FBI to publicly knock-down media reports that the US intelligence community was investigating the Trump campaign’s alleged contacts with Russian intelligence operatives during the election. The FBI refuses to do so. The administration then turns its efforts to several members of Congress, including Sen. Richard Burr (R-NC) and Rep. Devin Nunes (R-CA). Both are respective chairmen of the Senate and House intelligence committees that are currently conducting investigations into Trump’s Russian connections. The White House request was for the congressmen to call media outlets and counter stories about contacts between Trump staffers and Russians. February 15 was also when Carter Page appeared on national television and with a smirk face, lied to PBSs, Judith Woodruff that he had not had any meetings with Russian officials. February 17, FBI Director Comey meets privately with members of the ‘Senate Intelligence Committee’ to discuss the Russia investigation. Immediately thereafter, the committee sends a letter asking more than a dozen agencies, organizations and individuals — including the White House — to preserve all communications related to the Senate panel’s investigation into Russian interference in the 2016 election. On February 28, the ‘Republican House Judiciary Committee’ kills Rep. Jerrold Nadler’s ‘Resolution of Inquiry’ calling for Trump to provide documents relating to Trump/Russia connections and his business conflicts of interest. February 25, former leader of the UK Independence Party, key ‘Brexit’ campaigner, Donald Trump’s most visible foreign supporter during and after the presidential campaign, Nigel Farage dines with Trump, daughter Ivanka, son-in-law Jared Kushner and Florida Gov. Rick Scott at the Trump International Hotel in Washington, D.C. This seemingly harmless meeting becomes a bit more significant due to the fact that Farage has a March meeting with ‘WikiLeaks’, Julian Assange at London’s Ecuador embassy. For March, investigative reporting is stepped up with more corroborating material being revealed almost on a daily basis to the point it’s hard to keep up. March is also the month Nunes comes out with his bogus claim that Trump associates were being tracked by American intelligence agencies through foreign surveillance. Also in March, Alex Oronov, a Ukrainian billionaire businessman who was connected by marriage to Michael Cohen, Trump’s longtime lawyer and associate, dies unexpectedly under mysterious circumstances. Oronov’s daughter was married to Cohen's brother. Oronov reportedly set up a January 2017 meeting between Cohen and Russian officials to discuss a possible “peace plan” between Russia and Ukraine that would have formalized Putin’s control over Crimea. The New York Times reported that this peace proposal was hand-delivered to Michael Flynn prior to his forced resignation. On March 01, reports verify that Sessions indeed had two meetings with Kislyak exposing his lie to the senate hearings. Sessions now caught, no longer denies any contacts, but issues a statement claiming, “I never met with any Russian officials to discuss any issues of the campaign.” Also on this first day of March, as, FBI Director Comey prepares to board a helicopter, he receives an urgent message from the White House that Trump wants to speak with him immediately. Comey delays his flight to accommodate, but once into the conversation, soon realizes that Trump wants only to have a “chitchat” butter-up. Also on March 02, Carter Page retracts his lie and admits in a public prepared statement that he did meet with Kislyak during the campaign. It must have been repentance day, for he also admitted that he had met with Kislyak during the Republican Convention in July, where Page had successfully urged changes in the party platform that Trump had sought to soften US policy regarding Ukraine. March 04, According to internal White House sources, Trump is furious over Sessions’ self-imposed recusal. Trump promptly distracts and unleashes a tweet-storm, claiming that President Obama had wiretapped his phones during the presidential campaign. Stunned by Trump’s outburst, White House staffers begin searching for evidence to support his false claim. Among those reportedly involved in the effort are, White House Counsel Donald McGahn II and Ezra Cohen-Watnick, a 30-year-old Trump transition team member whom former national security adviser, Mike Flynn had brought to the White House as senior director for intelligence programs. Stone also has his own March 04 tweet rant, stating his communications with Assange: “[N]ever denied perfectly legal back channel to Assange who indeed had the goods on #CrookedHillary.” Forty minutes later, the tweet is deleted by Stone. March 05, Spicer in a White House press says the White House is requesting that the congressional intelligence committees examine Trump’s allegations that Obama wiretapped Trump during the campaign as part of their investigation into Russia’s election activity. He also states the White House will not comment further on the wiretapping allegation until the completion of this investigation. Meanwhile, FBI Director Comey asked the Justice Department to rebut publicly Trump’s assertion that President Obama had ordered the wiretapping of Trump’s phones. On March 07, general counsel to Nunes’ intelligence committee, Michael Ellis joins, White House Counsel McGahn’s office as special assistant to the president, senior associate counsel to the president and deputy National Security Council legal adviser. March 08, Nigel Farage meets with ‘WikiLeaks’, Julian Assange at the Embassy of Ecuador in London, where Assange has enjoyed sanctuary since 2012. March 10, Stone acknowledges that during the 2016 campaign he exchanged direct messages on Twitter with Guccifer 2.0, the online persona that US intelligence agencies pegged as a front for Russian intelligence. Stone claims the conversations were so “perfunctory” and “banal” that he had conveniently forgotten about them. Also on March 10, the yacht belonging to Russian billionaire, Dmitri Rybolovlev anchors in a cove in the British Virgin Islands. Soon afterwards, another yacht anchors next to Rybolovlev’s—the Sea Owl, owned by Robert Mercer, one of Trump’s biggest donors during the 2016 election and an investor in the conservative, ‘Breitbart News’. Finally on March 10, Mike Flynn’s replacement as national security adviser, H.R. McMaster, tells Ezra Cohen-Watnick that he is reassigning him. Unhappy with the decision, Cohen-Watnick appeals to Steve Bannon and Jared Kushner. They intervene and take the issue to Trump, who orders that Cohen-Watnick should remain in his position. On a March 15 ‘Fox News’ interview, Tucker Carlson asks him why he would accuse Obama of wiretapping without any further evidence, Trump replies, “I think you're going to find some very interesting items coming to the forefront over the next two weeks.” Two weeks pass and no new evidence ever materializes. Wow, did this official take some Nostradamus courses in predicting? Not really; this only shows collusion between the White house and Nunes. For the White House official went further to say, “It’s backdoor surveillance where it’s not just incidental, it's systematic. Watch Nunes today.” It doesn’t take a forensic scientist to detect that the White House was clearly indicating to, Lizza that they knew what Nunes was going to open up with. March 22, Rep. Devin Nunes (R-CA), chair of the House Intelligence Committee, bypasses his fellow committee members and goes directly to the White House with alleged evidence that Trump associates may have been “incidentally” swept up in foreign surveillance by American spy agencies. Nunes refuses to release the information or name his sources, even to fellow committee members. March 24, Nunes cancels public hearings scheduled for March 28. Former Director of National Intelligence James Clapper, former CIA Director John Brennan and former acting Attorney General Sally Yates had been slated to testify before his committee. Nunes postpones their appearances indefinitely. 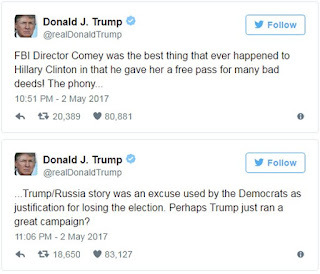 March 27 Trump tweets, “Why isn’t the House Intelligence Committee looking into the Bill & Hillary deal that allowed big Uranium to go to Russia, Russian speech” He’s still using the old uranium bait that has been proven bogus for a year now. Clinton could not have OK’d it by herself as Secretary of State even if she wanted to; it took other departments to fulfill it. Also on March 27, while having lunch with Benjamin Wittes of the ‘Brookings Institute’, Comey says he’s worried about Trump’s nominee for deputy attorney general, Rod Rosenstein. “Rod is a survivor,” he says, explaining that a person doesn’t survive for more than twenty-five years across Republican and Democratic administrations without making compromises. “So I have concerns.” Wittes later says he thinks Comey’s concerns stemmed, in part, from his “loyalty dinner” with Trump. 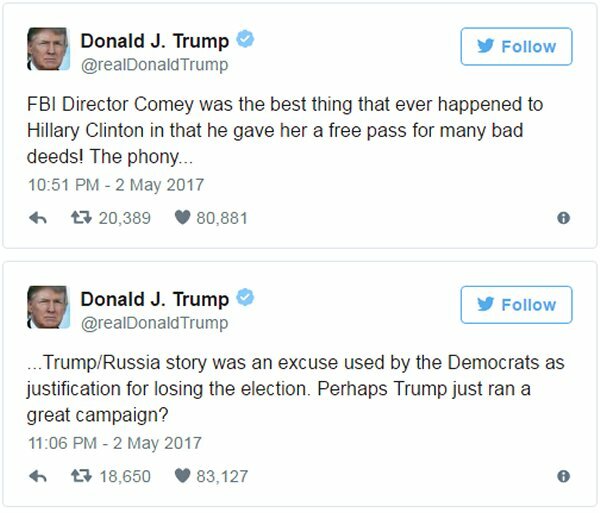 If Trump had asked Comey for personal loyalty, what had he asked of Rosenstein? As well on March 27, The ‘New York Times’ reports that in early December 2016, Jared Kushner met with, Sergey Gorkov, the chief of Russia’s U.S. sanctioned state-owned development bank at the request of Russian ambassador, Sergey Kislyak. The paper also reports that the Senate intelligence committee has informed the White House that it will seek to question Kushner about this meeting and his interactions with the Kislyak. Also on march 28, A Cyprus bank internally investigated the fifteen Manafort accounts and determined they were for money laundering tied into ten companies through a Russian oligarch with close ties to Putin. 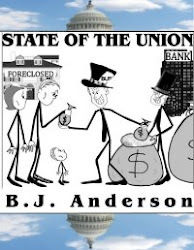 The unusual transactions in the accounts were what drew the bankers’ ire to investigate. After questions were raised, Manafort quickly closed the accounts. Trump’s, Secretary of Commerce Wilbur Wright was previously the vice-chairman of the Cypriot bank overseeing some of the Russian deals. March 29, the senate chairmen report on how nonpartisan their hearings will be held. The senate investigation chaired by, Senator Richard Burr (R-NC), who was, (as, Nunes) on Trump’s transition team starts the first of senate hearings the next day. March 30, as the ‘Senate Intelligence Committee’ opens its hearings, Clinton Watts, senior fellow at George Washington University’s Center for Cyber and Homeland Security and former FBI agent, testifies that the committee should follow the money funding misinformation websites. Watts then adds a more ominous suggestion in relaying, “Follow the trail of dead Russians.” He follows, “There’s been more dead Russians in the past three months that are tied to this investigation who have assets in banks all over the world. They are dropping dead, even in Western countries.” Eight Russian politicians, activists, ambassadors and a former intelligence official have died since Trump’s election. Some were apparent assassinations. Also on March 30, the ‘New York Times’ reports that two White House officials, Ezra Cohen-Watnick and Michael Ellis, “played a role in providing” Nunes access to intelligence purportedly showing that, “President Trump and his associates were incidentally swept up in foreign surveillance by American spy agencies.” As reminded, Cohen-Watnick was brought on to the National Security Council by Michael Flynn, whom he had worked for at the National Security Council. After Flynn’s ouster, his replacement, national security adviser Lt. Gen. H.R. McMaster, attempted to “sideline” Cohen-Watkins. Jared Kushner and White House strategist, Stephen Bannon intervened on the NSC staffer’s behalf, taking the matter all the way to Trump. Ellis worked for Nunes before taking a job in the White House as a lawyer working on national security matters. April arrives and through a ‘Washington Post’ report, it is revealed in 2016, the FBI and DOJ obtained a Foreign Intelligence Surveillance Court warrant to monitor the communications of Trump campaign foreign policy adviser, Carter Page. The newspaper notes, “This is the clearest evidence so far that the FBI had reason to believe during the 2016 presidential campaign that a Trump campaign adviser was in touch with Russian agents.” April is also the month that the Trump White House accused the Obama administration, in particular, Susan Rice of ‘unmasking’ Trump transition team members in intelligence reports. 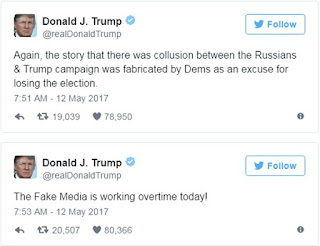 Trump called the ‘unmasking’, “a massive story.” Both Democrat and Republican lawmakers reviewed the accusation with all concluding there is no evidence. April 06, Nunes recuses himself temporarily but still holds power to influence decisions concerning committee findings. The ‘House Ethics Committee’ announces it will conduct an investigation into Nunes’ due to his unauthorized disclosures of classified information. April 11, in a ‘Daily Telegraph’ interview, Eric Trump says that the Trump administration’s decision to launch missiles at a Syrian military target proves that there is no connection between President Trump and the Russian government. April 13, former Trump adviser, Page tells ‘ABC’s, George Strphanopoulos that he will not reveal the person(s) who brought him to the Trump campaign. Also on this day, through a letter to Comey, House Democrats state that Kushner’s security clearance needs to be suspended due to his failure in disclosing key meetings with foreign government officials. April 14, it becomes known that Andrii Artemenko, the pro-Putin Ukrainian lawmaker that in January met with two Trump associates to discuss a possible peace plan for Ukraine and Russia, is paying $30,000 a month to pro-Trump preacher, Dale Armstrong in Pennsylvania who has ties to Russia and Ukraine. April 19, Trump’s White House refuses the bipartisan congressional ‘House Oversight Committee’ request for more information and documents relating to payments that former national security adviser Mike Flynn received from entities affiliated with the Russian and Turkish governments. April 25, Rod Rosenstein is confirmed by senate approval to be acting deputy attorney general due to Sessions’ recusal. April 27, the ‘Defense Intelligence Agency’ (DIA) announces contrary to the implication of Flynn’s attorney on April 25, the DIA has no record of Flynn seeking permission to receive payments from a foreign source. In a April 29 ‘CBS’ interview that aired on May 01, Trump cuts off John Dickerson and aborts the interview after being asked by Dickerson if he had any proof to his claim of Obama wiretapping him. May 05th is the day that James Dodson gave his Boston radio station, WBUR interview describing his 2014 golf outing with the Trump’s on a newly opened Trump golf course. The interview is explained under the 2014 section of this article. May 6-7, in a heated huff, Trump spends the weekend at his Bedminster, New Jersey golf course. He’s fuming over Comey’s congressional testimony, in which Comey acknowledged the FBI’s ongoing investigation into Trump campaign ties to Russia and had refuted Trump’s false claim that President Obama had wiretapped him. In the weeks that followed, Trump grew angrier and talked about firing Comey. At Bedminster, Trump was really riled over Comey’s congressional testimonial comment about being “mildly nauseous” at the thought that his actions relating to the Clinton investigation might have affected the outcome of the election. 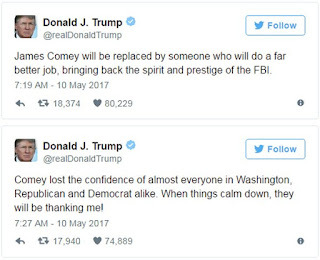 May 08, after returning to the White House, Trump tells, Vice President Pence and White House counsel, Don McGahn that Comey has to go. Pence, McGahn, Priebus and Kushner are members of a small group that begins to prepare talking points about Comey’s firing. 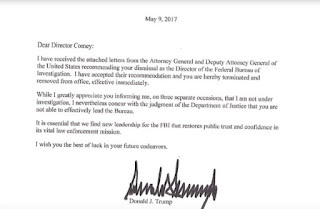 Trump summons Attorney General Sessions and Deputy Attorney General Rosenstein to the White House, where he instructs them to provide a written justification for removing Comey. 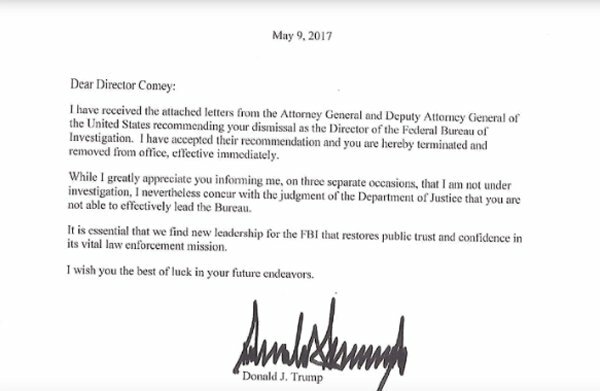 Before Rosenstein prepares the requested memo, he knows that Trump intends to fire Comey. 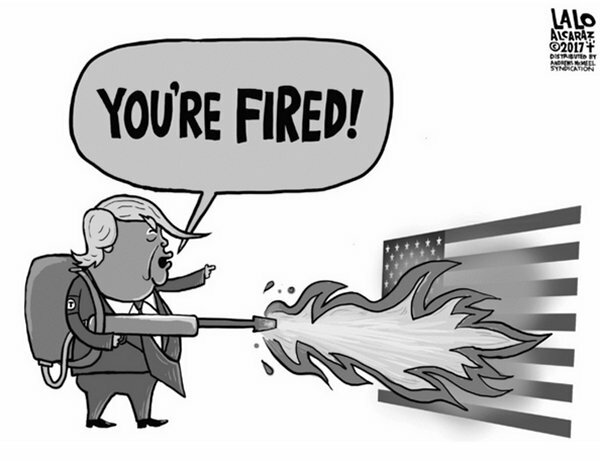 What Trump leaves out in his first tweet is that the Obama administration fired Flynn in 2014. Pence was head of the Trump transition and did not install proper vetting or, did know of Flynn’s illegal foreign government lobbying activities as a U.S. official and simply swept it to the side. Also, on Nov. 10 Obama warned Trump against hiring Flynn. Two days after being inaugurated, Trump hires Flynn. May 10, Trump sends out a batch of early morning tweets justifying his firing of Comey. Below are two of them. Russia’s foreign minister, Sergey Lavrov arrives in Washington, D.C. to privately meet with White House officials including Trump. Secretary of State is the first to greet him in a press conference where a reporter asks about the firing. Tillerson does not reply, but oddly Lavrov does saying, “Was he fired? You are kidding, you are kidding!” Then he walks away exemplifying the Russian mockery of their meddling into American democracy as allowed by this Trump administration. Pence states, “Let me be very clear that the President’s decision to accept the recommendation of the deputy attorney general and the attorney general to remove Director Comey as the head of the FBI was based solely and exclusively on his commitment to the best interest of the American people and to ensuring that the FBI has the trust and confidence of the people of this nation.” The ‘let me be very clear Kid Pence’ always states “let me be very clear.” Beware when someone states this, for they are lying and in this case we know that Pence was lying, for he was in the front of the original diving board of Comey’s being fired by Trump. Deputy press secretary, Sarah Huckabee Sanders reiterates Pence’s position that Sessions and Rosenstein were “absolutely” the impetus for the firing. By the way, in recusing himself, Sessions had no business in being involved with Comey’s firing and the FBI’s ongoing Russian investigations. Finally on May 10, on the senate floor, Senate Majority Leader Mitch McConnell (R-KY) rejects calls for a special prosecutor to take over the Russian probes. Also on May 11, The Senate Intelligence Committee sends Mike Flynn a subpoena for the documents he’d refused to produce voluntarily in response to the committee’s April 28 letter request. On the same day at the daily press briefing, Spicer refuses to answer reporters’ questions about the morning Trump tweet. Also on May 12, ‘The Wall Street Journal’ reports that the Treasury Department’s ‘Financial Crimes Enforcement Network’ (FinCEN) — a unit that specializes in combating money-laundering — will share financial records with the ‘Senate Intelligence Committee’ investigating Trump’s ties to Russia. National security adviser, H.R. McMaster is the first White House official to respond in reading a forty second statement to the press denying the Washington Post’s report, while mischaracterizing the substance of it. He says, “The story that came out tonight, as reported, is false. The president and the foreign minister reviewed a range of common threats to our two countries, including threats to civil aviation. At no time—at no time—were intelligence sources or methods discussed.” The paper didn’t report that sources and methods were disclosed; it reported that the information discussed could be used to discern intelligence sources or methods. McMaster leaves refusing to take questions. Finally on May 15, at the press briefing, Spicer refuses seven times to answer if the president uses secret recordings of his meetings. Finally on May 17, the ‘New York Times’ reports that Michael Flynn told the Trump transition team, as headed by Pence, in early January—before the inauguration—that Flynn was under investigation for failing to disclose more than $500,000 of work as a paid lobbyist for Turkey. Also, ‘McClatchy’ reports that ten days before Trump’s inauguration, Flynn asked to delay an Obama administration plan to fight ISIS that Turkey opposed. May 19, the ‘Washington Post’ reports that federal investigators in the Trump/Russia matter have identified a current White House official as a significant person of interest. That official will turn out to be, son-in-law Jared Kushner. Also on May 19, under growing scrutiny of contradicting statements once put into context, a Pence spokesperson states, “The vice president stands by his comments in March upon first hearing the news regarding General Flynn’s ties to Turkey and fully supports the President’s decision to ask for General Flynn’s resignation.” He might be standing behind them, but Pence had better learn to jump in front of ‘em. Meanwhile on May 19, in an attempt to undermine Robert Mueller’s credibility, White House lawyers are toying with a rule that restricts newly hired government lawyers from investigating clients of their former employer for at least one year. By executive order on Jan. 28, 2017, Trump had extended that period to two years; however, the Justice Department can waive the rule. Mueller’s law firm ‘WilmerHale’ represents Ivanka Trump, Jared Kushner and Paul Manafort, but the firm says that Mueller has not personally worked with any Trump-related clients. May 22, Michael Flynn refuses to comply with a subpoena from the ‘Senate Intelligence Committee’ that is investigating Russia's interference in the 2016 election, invoking the 5th Amendment protection against self-incrimination. Also on May 22, speaking to reporters in Jerusalem, Donald Trump denies mentioning “Israel” in his May 10 conversation with the Russian foreign minister and ambassador in the Oval Office. In making this statement, Trump tacitly implies that he did in fact discuss classified information with these Russian officials and also appears to confirm that the classified information originated with Israel—a statement that the original report and no US official has made publicly. May 23, sometimes in being too partisan, it comes back to bite the politician right in the aspirin bottle. Take for instance Trey Gowdy in grilling former CIA director, Jay Brennan at the Russian investigation hearings. In hopes that Brennan had no knowledge to Gowdy’s Republican sound-bye question of, do you know of any evidence of collusion with Russia and the Trump administration? Brennan politely fired back that indeed he does. In belief that Brennan was no longer involved as a CIA director, Gowdy was assuming Brennan was way too early in the startup of the investigations and was now not privy to any information that had been obtained. That way Gowdy could make it appear that there is nothing to see here in the Trump/Russian scandal. Instead, it backfired on him. Brennan went on to say his initial intelligence reports and investigations “were the basis for the FBI” to begin their investigations. He further added that the Russians “brazenly interfered” in the U.S. elections while actively in contact with Trump officials. After a bit of delay in once the proceedings were turned back over to Gowdy, his main response was as usual an uncalled for GOP joke when he blurted, “Sorry, I was colluding with my friend from Florida.” Apparently another country attempting to influence our democratic elections with possible collusion ties to a candidate weighs in with no merit to Gowdy. This is why our congress is mistrusted due to this type of smirkish behavior. That is one powerful statement. Now, can any upright true patriotic American get rid of their partisan baggage and agree with that? May 24, coming directly from the justice department, it was revealed to ‘CNN’ that Jeff Sessions did not disclose his meetings with Russian ambassador, Sergey Kislyak and other foreign dignitaries when he applied for security clearance. May 31, ‘CNN’ reports that Russians claim to have ‘derogatory’ financial information that can be used as leverage over Trump. However initially here, CNN has seen no transcripts, and are only repeating what the Russian officials have informed them. 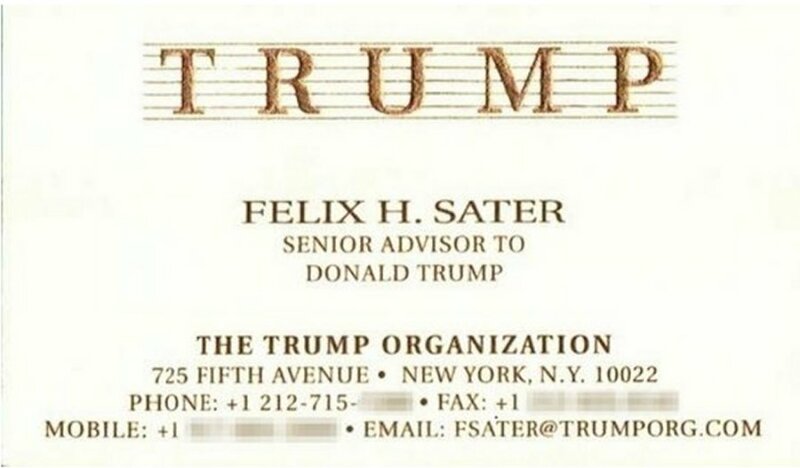 But, a series of deep studies were published in the ‘Financial Times’ that examined the structure and history of several major Trump real estate projects from the last decade—the period after his seventh bankruptcy and the cancellation of all his bank lines of credit. The money to build these projects flowed almost entirely from Russian sources. This Russian drip to pooling to flow will continue on into a raging current, as more information rip tides through. So, as the mighty leaker of classified material so valiantly goes forth in still trying to stick it to Clinton, he sings quite a differing tune by totally flipping his opinion when it comes to a leaker from the other side of the aisle. Trump actually gives highly classified foreign intelligence to the Russians before sharing it with any of America’s allies during a warm and cozy private meeting with Kislyak and Lavrov. Pouring salt deep into the wound, he does this while barring American reporters and photo journalists from the meeting while allowing the Russian media to attend. Now how does that ‘make America great again’? This is making a mockery of American politics. For instance, after his meeting with Trump, Lavrov has another meeting with the secretary general of the ‘Council of Europe’. The ‘Council of Europe’s, Thorbjorn Jagland asked, Lavrov, “These pictures won't cause any problems for you?” Where Lavrov, in thinking he’s kind of cute replies, “Depends on what kind of secrets you pass on to me.” They all get a chuckle out of it. I don’t care for any of the Republican excuses of, ‘Trump as president has the right’, or, ‘well, he at least didn’t mention the name, Israel where the intelligence originated from’. For all you self-professed rightwing patriots out there, this is one sorry display of American patriotism. The main difference between leaks concerning the Trump administration and Trump’s actual indulgence in sharing classified information with the Russians is: one is exposing a person or persons exhibiting deviant behavior towards the nation or American people for self-interests, while the other is actually exposing classified U.S. interests to adversaries that could affect national security. Exposing unruly persons is protected under whistleblower laws, for that is actually a patriotic move. The one that exposes highly sensitive classified intelligence such as in military or intelligence strategies...that is actually unpatriotic and treasonous. As we can obviously see, Trump is more the traitor than any of the leak sources considering what his administrators (persons), or Trump himself are doing in seeking under the radar adversarial contacts from U.S. officials. Of course all Republicans are pushing the ‘Trumyan’ (Trump/Ryan) Healthcare bill through secretive policy, pushing it through before the ‘Congressional Budget Office’ (CBO) could review it and actually lying about its lack of merit. Remember when Trump promised quality healthcare for all, how it would be much cheaper and more accessible to all during his campaign. 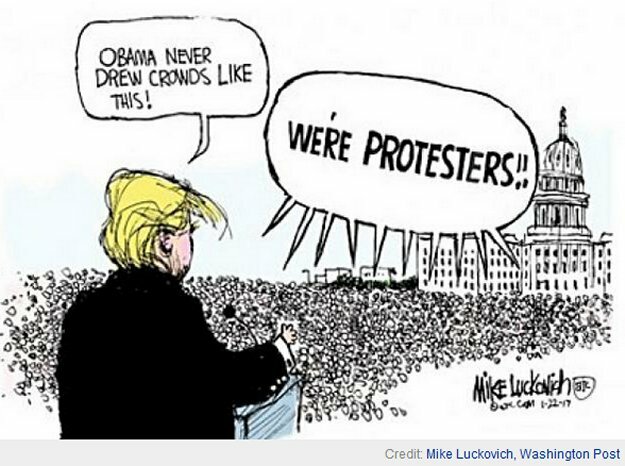 Now he actually orchestrated a little parade ending up at a White House lawn podium praising the healthcare bill in barely passing with a House vote of 217-213 and that was the second time around for the House; the first time it would’ve failed. So, to ensure passage in the Republican majority House, Ryan actually made the bill worse to attract the ‘Tea Party’ element in his party. With all his little Republican politicians from the House and his administration smiling as if they had accomplished the miraculous conception, when instead, they just handed the senate a healthcare bill far more inferior than Obamacare. As seen in the above video, Ryan complained about the rush, lack of transparency and not looking at other Republican alternatives. Now, let’s fast forward to the 2017 Trumyancare bill. The GOP still has no healthcare bill to replace Obamacare. Honestly, Republicans would simply prefer to just go back to the traditional format of health insurers’ rule. So, even if the ACA is repealed, it still won the day as it has forced the Republican’s hand to bend at least a smidgeon towards the American public. Secondly, there was far more transparency to the ACA. Republicans were in on its initial implementation, GOP fingerprints were all over the draft. Democrats weren’t invited on Trumyancare policy making. In fact, most Republicans weren’t either. The ACA had hearings, Trumpyancare did not. It took nearly two years for Obamacare passage with a CBO review, Trumyancare was indeed rushed through without a CBO review. 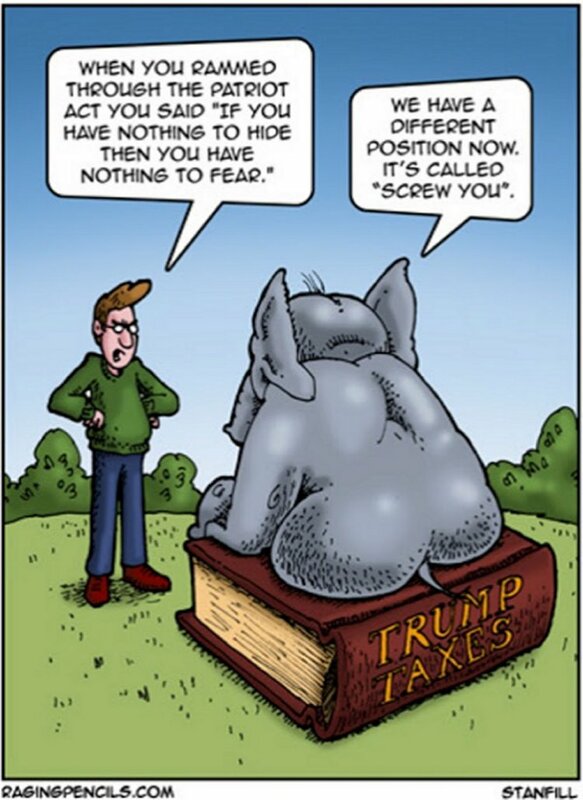 Lastly, virtually all Republican congressmen, much less Democrats and Independents had to confess in interviews they had not read or reviewed the Trumyancare bill. Finally, once the Trumyancare CBO report did come out, we all now realize why the vote on it was rushed through. 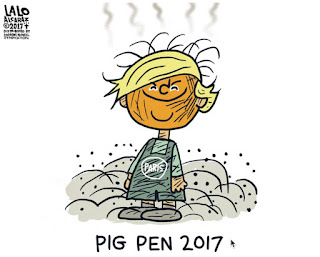 It stinks. 23 million Americans will lose coverage. With the aid of Trump’s budget slash of ‘CHIPS’ funding, 30 million American children will lose funding. Watch Senator Bernie Sanders (I-VT) hammer Mulvaney in the video below. On top of all this, health insurers are raising premiums due to the atmospheric instability Trump is pushing on healthcare. For instance, in a May 30 ‘Vox’ article, Brad Wilson, chief executive of ‘Blue Cross Blue Shield North Carolina’, has just filed a 22.9% Obamacare rate increase for 2018. Why? However, Wilson alludes to the fact that Trump is considering cutting funds for a key Obamacare program in ‘cost-sharing reductions’ (CSR). CSRs are a $7 billion program lowering copays and deductibles for low income enrollees. Yepper sports fan, everything Republicans falsely complained about in Obamacare, they sneak packed all those falsities into Trumyancare. It’s shameless ineptitude! 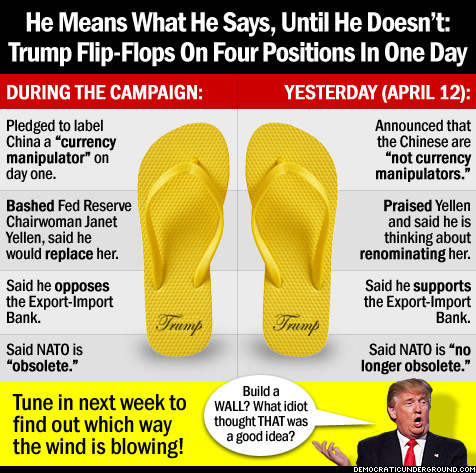 Trump and Ryan in being so hypocritical, have done a major disservice to the American public overall in their mountainous double upside-down flip-flop. One might recall all of the hollowed out promises Trump dissed out on his campaign trail like build the wall paid for by Mexico and build the XL pipeline solely with USA made pipe when indeed foreign Russian, Turkish and Chinese pipe will be used. 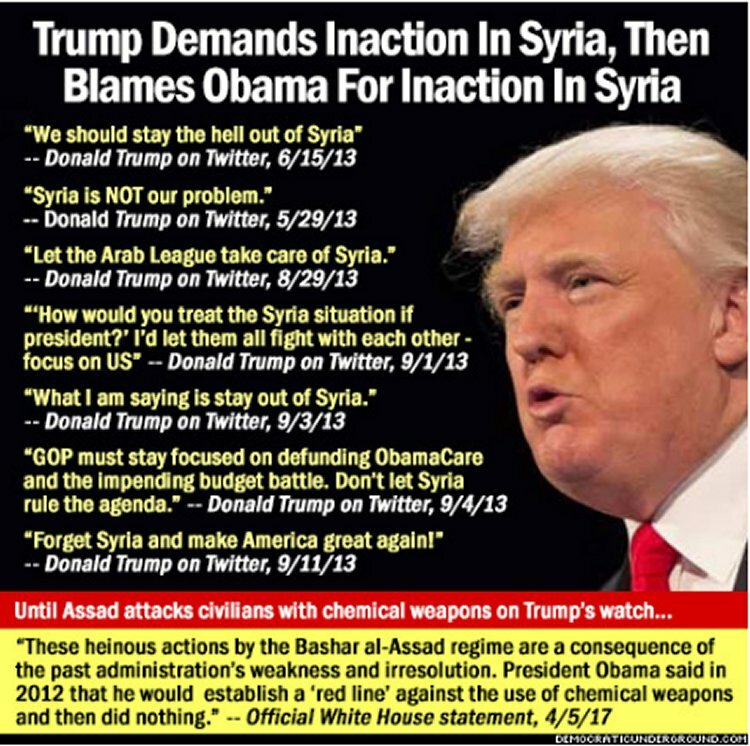 One of those promises, since proclaiming he knows more about ISIS than any generals and only he alone can defeat ISIS was, “We are going to convene my top generals and give them a simple instruction. They will have 30 days to submit to the Oval Office a plan for soundly and quickly defeating ISIS. We have no choice.” Of course please duly note he goes back to relying on the generals instead of himself to come up with a plan, but nonetheless, it’s 50 days past due his first 30 days and still no plan. As far as Trump, even before his first foreign trip as president he was whining to shorten the days from nine to five. It was reported from the White House that Trump was too exhausted by the time he made it into Israel, that he cancelled two scheduled events. One was to the holocaust museum and the other was a speech to the Israeli parliament. Oh yeah, a third one he cancelled was to the ancient site of Masada...why...well the excuse was because they wouldn’t allow him to use his helicopter to land him there. In Sicily, the G7 leaders consisting of young and old, male and female took a stroll down and up the streets to reach the area for a group photograph. Trump, so winded, instead of walking with the group, took an electric buggy. They all waited patiently until Trump arrived to join them in the photoshoot. Hillary proved it in walking the walk. 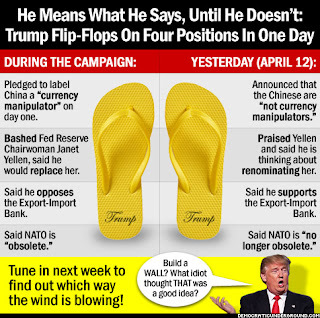 Trump as yet, has not in merely talking the talk. I say to Trump, if stamina is so important to falsely bash Hillary in not having it, where’s yours, Buggy Boy? Christian Billboard Boy, Mike Pence isn’t exactly a follower of the ‘Ten Commandments’ when it comes to number nine, thou shalt not lie. But it is his cherry-pick to throttle his full Christianity when it comes to the LGBT. It appears all Pence’s role is to give lying cover for his boss. He did it during the campaign and he’s been doing it during the presidency. Christian Boy has a long history of lying through his teeth. In 2009 concerning the new ACA healthcare bill, he stated, “a government-controlled health care plan that will deprive roughly 120 million Americans of their current health care coverage.” He falsely stated this in that Obamacare is not a government controlled healthcare bill and it didn’t deprive 120 million Americans of healthcare, it actually gave an additional 21 million more in coverage. 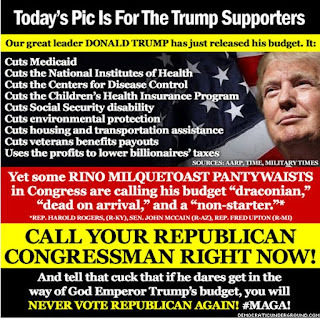 All this while he covets a healthcare and Trump budget bill that will indeed take 23 million American folk’s coverage away and child healthcare away from 30 million children in slashing ‘CHIPS’. As mentioned earlier in the above chronology section when it comes to the Flynn affair, Pence has been acting as the duped stooge, or liar, or both. I tend to lean to the latter...of both. Through heading the transition team, there is evidence Pence knew of Flynn’s Turkish lobbying interests and Pence was in on the ground floor of Flynn’s firing as opposed to what he publicly stated in denying any knowledge of Flynn’s background. But of course Pence was part of the whole original scheme to initially make it look like it was due to the memo as opposed to Trump doing the firing of FBI director, Comey on his own accord. Pence, with his little beady eyes knew of the firing even before the Rosenstein memo came out. Trump had asked, Deputy Attorney General Rod J. Rosenstein to draft a letter documenting Mr. Comey’s shortcomings to leave the impression that it was Rosenstein’s judgment and not his own that led to the dismissal. This was an idea that was reinforced by Pence, who was part of the small group of advisers who planned Comey’s ouster in near secrecy. 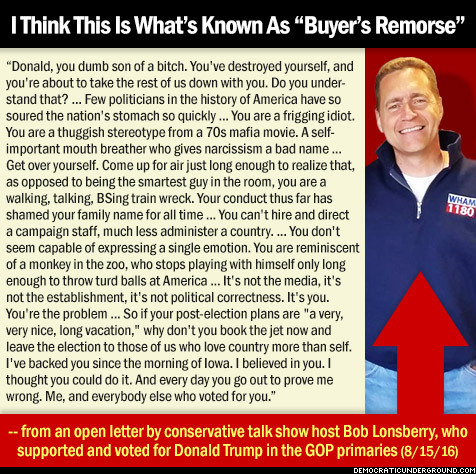 Naturally, this ruse got busted wide open when Trump announced to NBC news anchor, Lester Holt, “I was going to fire Comey — my decision. There is no good time to do it, by the way. 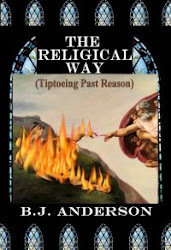 I was going to fire regardless of the recommendation made by Mr. Rosenstein.” Guiltless Pence, no longer appeared as the empathetic oh holy innocent one. He became behind those beady eyes, the devious one. But by far the worst covert lie Pence is living is connected to the January meeting with Erik Prince and an unnamed high level Putin representative as discussed under the above Russian/Trump chronology. According to U.S., European and Saudi Arabian intelligence officials, the ‘Washington Post’ reported with information from two U.S. intelligence officers that the United Emirates arranged a secret meeting between Prince and a Russian close to Vladimir Putin, with the alleged goal of establishing a back-channel line of communication between Moscow and the Trump transition team, headed by Mike Pence. All according to U.S, European and Arab documents. Prince was indeed under Pence as a junior member of the transition team. Pence had to be aware of what illegalities were going on. Someone should tell Sessions, it is the ‘Hippocratic Oath’ and not the ‘Hypocritical Oath’, for Sessions claims to be tough on crime while rounding up undocumented father, mother and child immigrants with no criminal backgrounds. But hold on a second, for when it comes to corporations, he appears to go conveniently blind. As declared by sessions, Citigroup-owned, ‘Banamex USA’ gets away with six years’ worth of illegal activity with a paltry fine in Wall St. financial terms and with no jail time for anyone involved. Banamex and Citi officials knew of some 18,000 separate suspicious account activities yet reported just six to regulators. The activities were transactions of remittance payments from persons inside the U.S. to accounts in Mexico. This is standard practice of Mexican workers in the U.S. sending money back to their families in Mexico and these are carefully watched by bank officials. But the transactions Citigroup failed to police internally or report to external authorities however, were not typical small sum worker remittances, no, they were large quantities of money going back and forth across the border from just a few organized accounts. 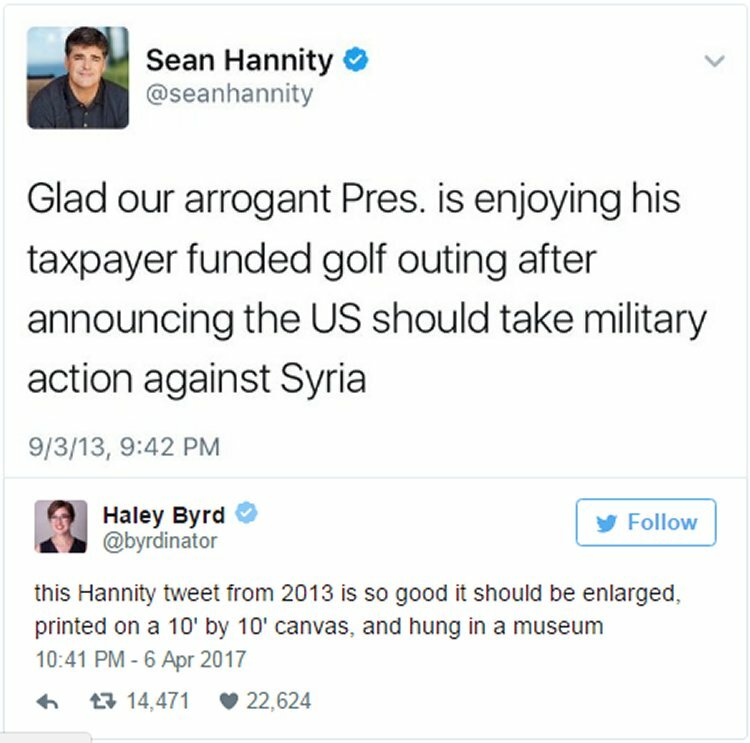 To round this up, it is pretty much in the Republican DNA to be hypocritical. 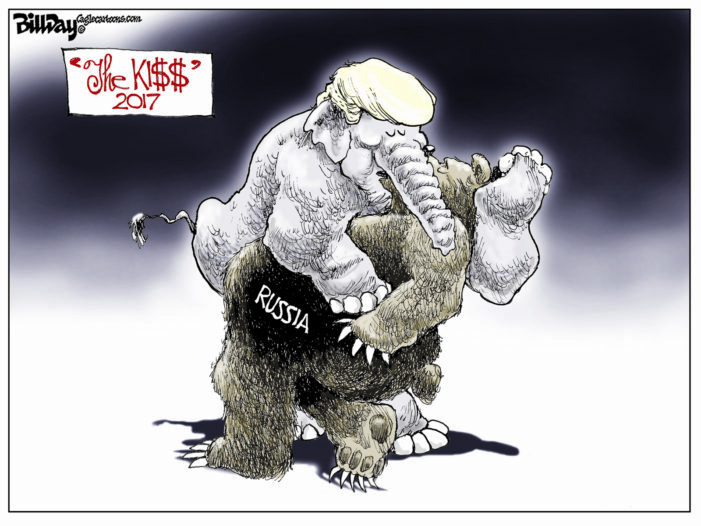 They supposedly come from the party of family values, but recently, beyond voting for a narcissistic perpetual liar and cheating businessman who swindled millions from subcontractors and service businesses by not paying them for their work on his construction projects, but yet lecture NATO members they’re not paying their bills, the GOP seems to reward all its lewd leaders. After disgraced former, House Speaker Dennis Hastert had sexually violated boys during his teaching and coaching tenure with more violations coming in, Republicans feel empathy for him...he’s too old to be in jail, or he only has to answer to God. Mark Sanford, when governor of South Carolina flew to Argentina on the state’s taxpayer dime to meet and pick up his mistress and lied about it to his constituents and his wife. So, what happens to him, he is rewarded. South Carolinian Republicans, after his governorship term ended, voted him in as a U.S. congressional representative. Just this past week, Greg Gianforte just body slammed and punched a reporter repeatedly in the face. The next day, Republican Montanans vote him into office as their representative congressman. In addition, Gianforte has ties to white nationalist activists and organizations. He also stands to gain $800,000.00 dollars solely if Trumyancare becomes the new healthcare law. It was a healthcare question by the ‘Guardian’s, Ben Jacobs that stirred Gianforte into assaulting Jacobs. A slew of stations picked up her story and reported it...except the ‘fair and balanced’ station. That’s right, ‘Fox’ totally ignores their own ‘Fox News’ crew coverage who were firsthand witnesses to the attack. Instead, Fox had pundits siding with Gianforte. By dubbing Jacobs as a “liberal reporter” that is code for Republican dog whistles that Jacobs is part of the ‘Fake News’ so deserved whatever Gianforte gave him. We know all the praise Trump has showered onto, Putin, while making it out to be that it is U.S. news journalists as the enemy of this nation. But it’s not just authoritative Putin that he showers. On April 18, Trump is not only the first, but the only western leader to call Turkey’s, Recep Tayyip Erdogan and congratulate him on his razor thin margin victory to increase his authoritative squeeze on the country. Erdogan just expanded his authoritarian power in a vote plagued by allegations of fraud. Although Trump beat them to the punch, someone else did call in to congratulate Erdogan...it was Hamas, Palestine’s Sunni Islamic fundamentalist party. Trump, on an April 29 phone conversation with the Philippines’ president, Rodrigo Duterte invited him to the White House, an act of embracing another authoritarian leader who is accused of ordering extrajudicial killings. Duterte hasn’t been in office a year yet, but has executed thousands of people deemed as drug dealers or users. He uses his police goon squads to carry out the massacres in the streets and homes. The squads have branched out even into killing Duterte’s political rivals and critics. 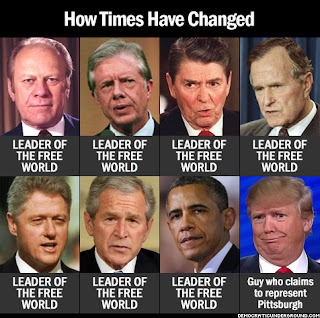 It’s not just these leaders’ authoritarian governance that attracts Trump, no, it’s because he craves their unchecked power. Is this the meaning of ‘Make America Great Again’...to demolish our constitution? On the other side, all of America’s long lasting allies, Trump’s hastily dissolving the relationships. Seven European leaders from Germany, France, Sweden, Norway, Denmark, Finland and Iceland are now distancing their governments from the U.S. This has been precisely Russia’s goal...create division between the U.S. and its European allies. 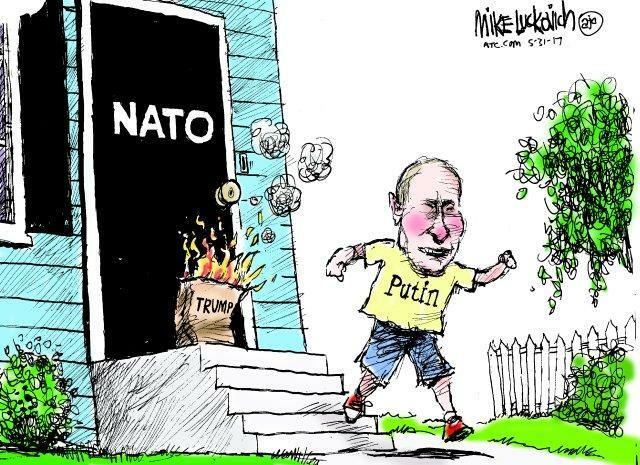 Trump is handing it over to Putin on a silver platter. The conflict of interest that will continually hang over this presidency is unethical. With domestic and foreign dignitaries staying at Trump hotels hoping for influence, government officials staying at Trump Towers and Trump resorts with the stays paid for by the American taxpayer to Trump’s pockets is the first time this type of immoral presidential financing has been tolerated. Even Trump’s son-in-law, Jared Kushner, who is a slumlord, stands to gain income from 90% of his real estate holdings under virtually zero percent transparency. Kushner has financial holding accounts held by shell companies that are virtually impossible to track, and Kushner has declined to make public more information on those entities even though he is Trump’s influencing White House adviser. Trump titillates when it comes to walls, but he hasn’t put up any between his entwined businesses and political podium. It’s time for Trumpty Dumpty to take that fall. 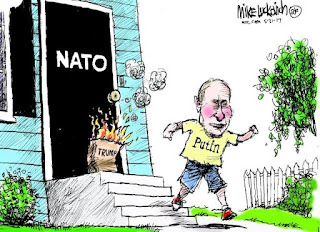 Vladimir Putin helped Trump get elected, it’s now our turn as an American to get Trump out of office. Divulging with the Russians is a corpulent contradiction in terms. This also includes Pence. 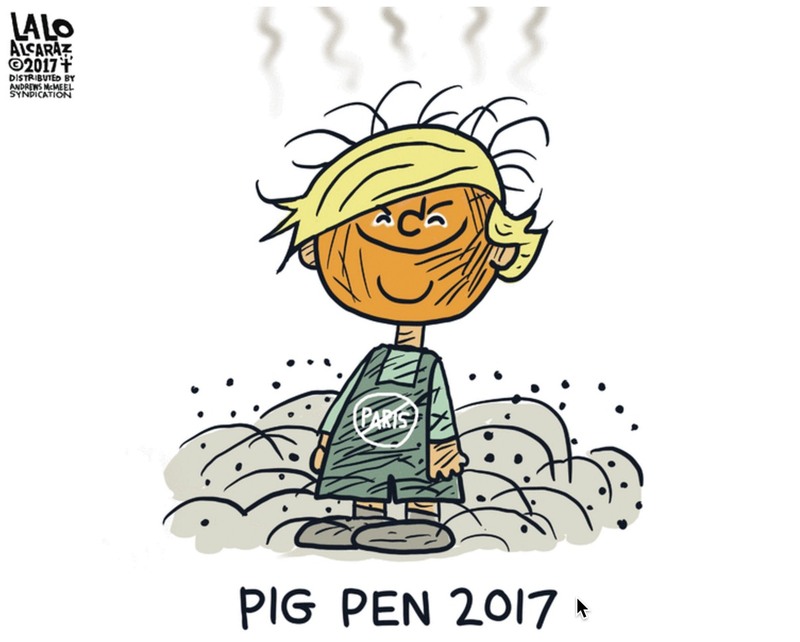 When you’re more than willing to waddle in the mud with pigs, expect to be looking like a muddy pig. Pence may not have Trump’s colic mouth, but his deceitful ways are just as upchucking. Shame requires a conscious. Those without one, lack in ethical, empathetic and civil character. Trump displays none of those traits. He attacks the media simply for reporting what he has said and done. Trump in his constant whining of the U.S. media and U.S. intelligence, ‘Make America Great Again’ has been reduced to self-pity, for what else can be said in what he’s accomplished? 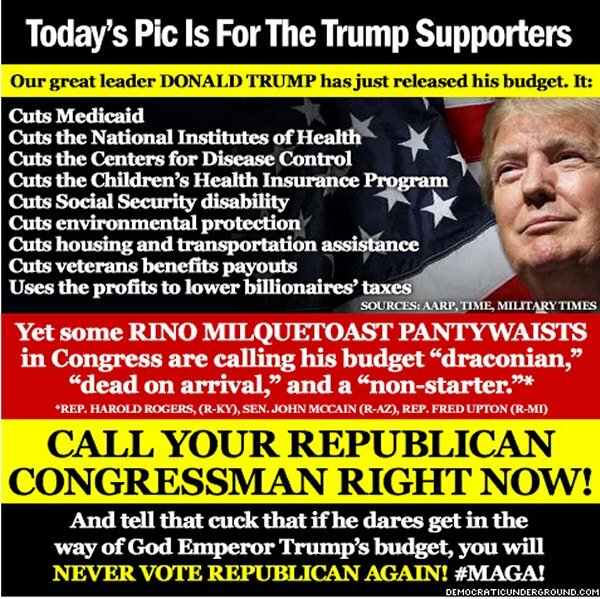 Trump’s budget proposal and Trumyancare (Trump/Ryan) is antithetical to true American values and ethics. Already as it stands, 77% of Americans cannot afford an unexpected medical bill of $2,000.00. On healthcare it’s a crying shame it’s all about giving the rich guaranteed tax cuts instead of improving the health law already in place. I am assuming your question is serious. Long before ACA, I worked in a library with a woman who did our janitorial work. We talked from time to time because our kids were the same age. Tales from the trenches. She worked three different minimum-wage jobs to support herself and her son. His father had long since split, but she was a good mom and did her best. One day, without warning, she had a grand mal seizure. It was one of the most terrifying things I’ve ever witnessed. When the ambulance came, they took her away. The next time I saw her, she looked OK…but was scared. The med they prescribed her ran $400 a month. She told me she was “trying to make them last,” only taking them when she felt “funny.” I told her I thought that was dangerous. Easy for me. I had health insurance through my husband. But three part-time jobs don’t offer it. She died six months later, leaving her son an orphan. She was 38. Yes. People often die without health insurance. And usually they are poor.